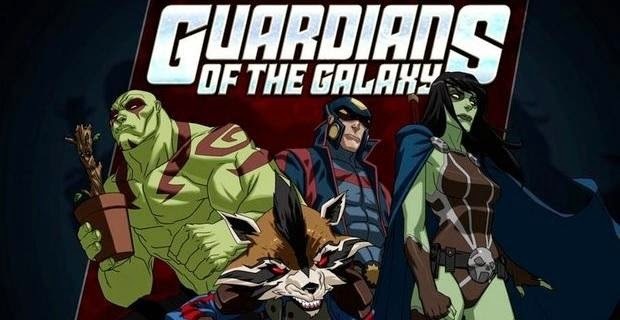 In yet another sign that Marvel is really putting a lot of stock into the Guardians of the Galaxy series, a new animated television series has been announced. While some of Marvel's cartoons have been met with very positive reactions (Avengers: Earth's Mightiest Heroes—which, of course, was cancelled), others have been subject to lots of criticism (for instance, Ultimate Spider-Man, which doesn't seem to be going away and has influenced the tone of many other shows). The film has not even been released, yet plans for a sequel and this new TV show prove that Marvel has the utmost confidence in this brand. Years ago, the executives and powers that be hinted that their game plan was to create an entire series based off this concept and make it their own Star Wars, so to speak, and it looks as though it's paying off. But is this too much? Will fans get sick of the team if they are oversaturated with them? Surely, there has to be a point where one can have just too much Rocket Raccoon...right? Tell us what you think of these plans and what characters you'd like to see in the cartoon in the comments section below.